NYC is Blue: First meeting! We had a great first meeting today at the Football Factory. I'll post tomorrow and Monday with details from the meeting, but I want to first take a moment to say thanks. Thanks to our hosts Robbie and Jack at Legends Bar, and thanks to all the supporters who spent a beautiful Saturday afternoon inside talking about a football club that won't play a game for over a year. Amazing. Thank you all, and I look forward to our next meeting. 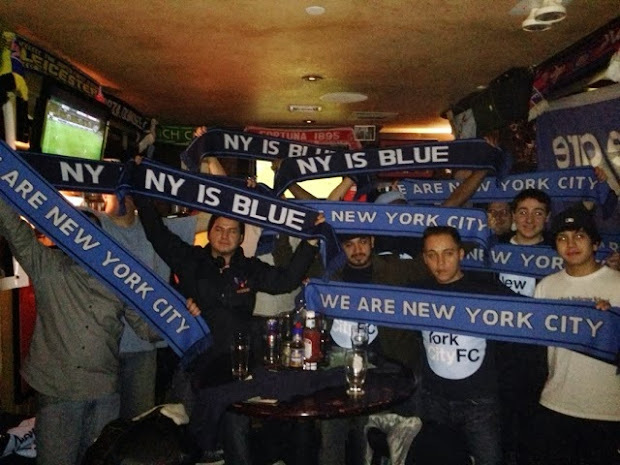 How can I find out more about NYCFC Supporters' meetings? 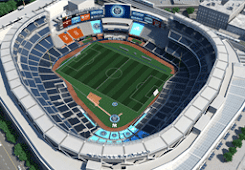 Follow me on Twitter: @NYisBLUE, join us on Facebook: https://www.facebook.com/nycsc, or send me an email: soccerchance (at) mac.com. We'd love to have you!